My guess is they are not seated properly. When they are not seated against the bottom of the case the shock from the firing pin is taken up by the pin trying to finish seating it. I had to learn by running my finger across the bottom of every round and understanding the feel in my machine to be 100% certain each one was seated. I went through this and now have zero failures from primers. Thank you for the info. My primers are seated just slightly more than flush. I checked and they are all seated the same the ones that did fire and the one's that didn't. I've had the same issue with CCI problems in a couple boxes this year. Its only been a very small handful out of thousands of primers, though, maybe two out of a thousand. I have never had a problem with CCI primers, could it have been a storage issue, either by you or the vendor? It is never fun to have problems with components like primers that's for sure. I am going to double check my seating depth just to be sure they are seating correctly. Thanks for all the information I appreciate it. I have had some issues with CCI small pistol primers not going bang. They have been seated properly and proper firing pin strike. FWIW, I think CCI primers are as hard as woodpecker lips and are much more sensitive to seating and take a much more positive hit to set them off compared to other brands. In the past, I've tried to avoid them as much as possible. IMHO, Federals have been the best for reliable ignition, even with light strikes, followed by Winchester. Some Federals contain up to .2% Nitroglycerin. See there MSDS. I have always used CCI small and large pistol, small and larger rifle and some magnums, this is the first problem I have had with any of them. I am thinking maybe a bad batch. rebs wrote: I have always used CCI small and large pistol, small and larger rifle and some magnums, this is the first problem I have had with any of them. I am thinking maybe a bad batch. It may be worth contacting CCI and letting them know of your problems, especially since you've been a faithful customer. CCI need a solid strike to ignite. My revolver has no problem in single action, but will only ignite one in five in double-action. By comparison, the same revolver will reliably ignite all Sellier & Bellot in double-action. So it could be that your mainspring is too weak for CCI primers; you could put a stronger spring, or switch to a different primer brand. 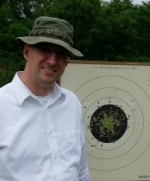 I use exclusively CCI in my 1911's and have only had one round in about 20 to 30,000 that did not go bang. I have never taken it apart to see whether it was missing an anvil or what. I can't use them in my revolver as I lightened up the springs to be able to shoot double action and therefore had to go to Federal for that due to light strikes. The only primers that work in all my guns are Federal. Particularly in my revolvers with lightened triggers, shooting DA. I found the attached, in depth article, both interesting and helpful. Another thought, a friend of mine was having some misfires on some reloads using Winchester primers and he thought the most likely cause was either oil contamination in the primer feeder of his progressive reloader as he had just cleaned it or cases that had not been dried completely after being cleaned in his ultra sonic cleaner. Hope you figure it out. gregbenner wrote: The only primers that work in all my guns are Federal. Particularly in my revolvers with lightened triggers, shooting DA. Thanks for the link. I feel as if I've read an encyclopedia. Will save for future reference. The only bad primers I've ever had were with a batch of wet-tumbled brass. When I pulled the faulty rounds apart there was evidence that the primer pockets were still wet when I loaded them. 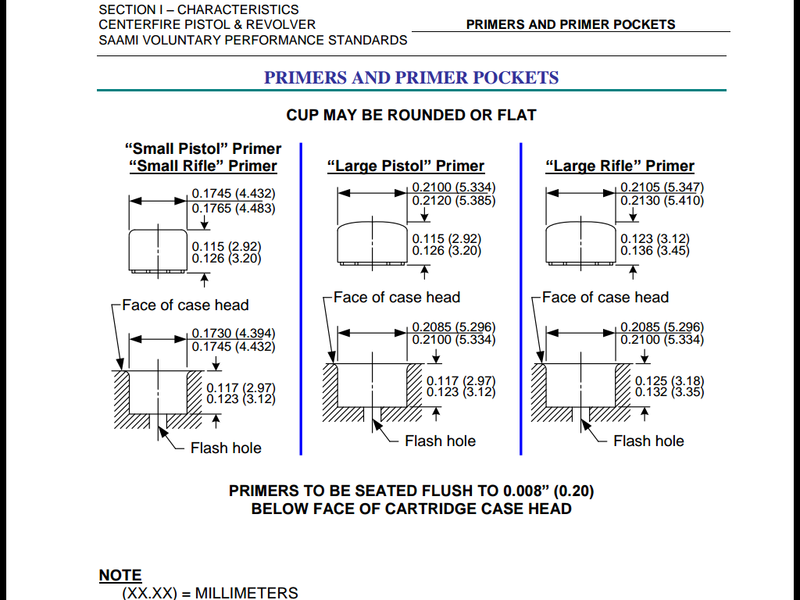 CCI doesn't want to know anything about bad primers other than it must be my reloading or my gun. That is not a vary good attitude toward customers. We tried these loads in 3 other revolvers and got the same results 2 or 3 out of 10 did not fire in the other guns either. I made a second call to CCI and was just told the same thing it cannot be the primers. How can it not be the primers when the results were the same with 4 different guns ? CCI's customer service is terrible, just seems they have an attitude that it cannot be their primers. I have about 700 of these primers left and don't really want to load them since it is time consuming and a pain to pull all the ones that don't fire to save the bullets, powder and cases. Would you try another box of CCI or change brands ? If you are going to buy more primers because of lack of confidence in these, get another brand. For revolvers, Federal are almost always the best (softest). an update, I went and bought 2 new sleeves of primers with a different lot number and all 200 of them fired perfectly. I would say that proves it is not my gun or the others ones we tried shooting them in and I got a bad batch of primers. Now I have to take the loss of the bad primers because CCI won't do anything about them other than to say it must be my gun or my reloading. I'd call them again and tell them you tried another batch and they worked perfect. That's kind of hard to refute.